There's change underway at Troon Vineyards in southern Oregon's Applegate Valley. Some folks say "if it ain’t broke, don’t fix it," but the folks at Troon said, "let’s make it better." Winegrower Craig Camp tells me it’s not just a new label for the 2017 Riesling Orange Wine Whole Grape Ferment. They have worked for several years to convert the estate to biodynamic farming and winemaking. Camp says, "As we bring our soils and vines back to health each new release from Troon Vineyard will gain in complexity and pleasure." 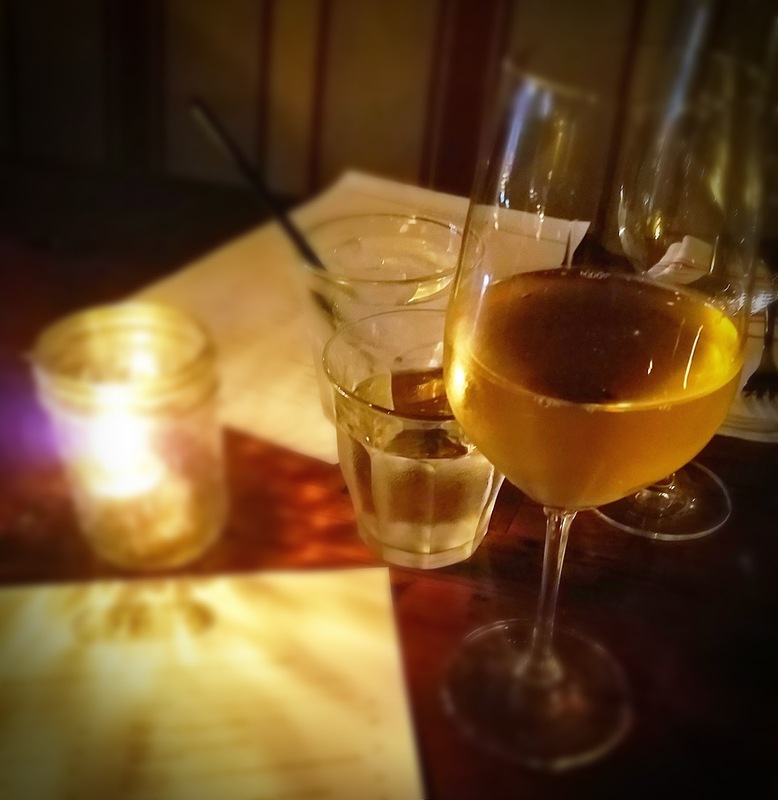 The orange Riesling is an unusual wine, to be expected from a winery which has experimented freely with grape selection and even produced a co-fermented "blend." The designation of "whole grape fermented" was used because Camp says "skin fermented" sounded "kind of yucky." As always, the grapes from the estate's Kubli Bench were crushed and fermented with native yeasts. The "whole grape" means the skins stay in there, which is what gives the wine its interesting orange tint and incredible herbal notes. Alcohol sits easy at 11.5% abv and the wine retails for $20. The 2017 Troon Vineyard Riesling, Orange Wine, Whole Grape Ferment, Applegate Valley, Kubli Bench Estate Bottled - now that's a mouthful - offers a light touch of tannins, a vibrant acidity and crisp dryness that makes it an extremely refreshing sip. It's one of the more complex white wines I've tasted. There's a strong herbal whiff on the nose, backed up by stone fruit. The tartness hits the perfect middle ground and the wine is as dry as the proverbial bone, so put this wine on the dinner table with full confidence. It was a great day for a great meal out. Denise and I had a midday repast at Wally's in Beverly Hills, the full-blown restaurant version of the longtime Westwood wine store. She had lunched there the day before and knew I would love it. Not just an eatery, there's a store full of wine shelved around the diners. I can't think of a better way to have food than when surrounded by thousands of bottles of wine. We sat near the Bordeaux stash, but it was a culinary trip to Spain for me. The grilled chicken salad de La Mancha is a real delight, making the term "chicken salad" seem outdated, simplistic and downright foolish. It contains escarole, chorizo, raisins, piquillo, almonds, olives, shaved manchego, quince and toasted garlic dressing. I know it reads good, but you should taste it. You should especially taste it with a wonderful Spanish wine. The 2016 Txomin Etxaniz Txakoli, Hondarribi Zuria from Getaria. The Basque Country wine has been around since the 16th century. "Txakoli" is the style and is usually somewhere sparkling and quite dry. The grape is the "Hondarribi Zuria" and the location of origin is the town of Getaria. That's a tiny spit of land that barely juts into the enormous Bay of Biscay, just west of Spain's border with France. The wine is produced and marketed by the Txueka Etxaniz family. The wine is extra dry, pale and smelling of wet rocks and cantaloupe. It's not particularly fizzy, but the winery makes another style that is. The heaven that happens when the wine hits the quince in the salad is simply indescribable. I often repeat dishes on return visits to restaurants, but I can't imagine getting the same wine when there are so many others from which to choose. Perhaps my next visit will be to Italy, or France, by way of Wally's. 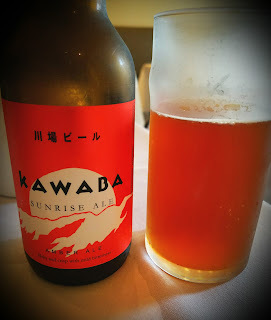 This night, I noticed a Japanese craft beer, Kawaba Sunrise Ale. Billed as an unfiltered amber ale, I figured it had to be pretty close to my wheelhouse. It was good, beery and ale-y enough to make both of us happy. But that's a fairly weak description, especially for a guy who can go on and on about wine. Why does beer stump me? Locations is an experiment of place for winemaker Dave Phinney, of Orin Swift fame, in which he makes wines from all over the world. These wines are labeled only with a big letter or two, depicting the place of origin - F for France, P for Portugal, I for Italy, and WA is for Washington. Locations wines are non-vintage, have no appellation designated and are always blends, with Phinney's goal being to make the best wine from that country or state. Each wine has a release number which represents the vintage for the majority of the wine in that specific bottling. In this case, WA5 is made from Washington grapes harvested in 2015. The label describes a sixth generation vintner and friend of Phinney once telling him, "if I were twenty-one, single, and could make wine anywhere in the world, it would be Washington." At which point Phinney must have whipped out his notepad and made a note to "check out WA." WA5 is a red blend of Syrah, Merlot and Petite Sirah grapes. Alcohol gets up there, 15% abv, and it sells for around $20. It's a bargain, and would be at an even higher price. The wine was aged ten months in French and American oak barrels and bottled in Napa.. This dark wine offers a gorgeous nose of plums, blueberries and leather. It's a rich nose, one that belies the $20 price sticker. On the palate, there are savory tones that play against the fruit, smoky and earthy and laden with minerals. It drinks like a good Rhône blend. A really good one. The Original Farmers Market in Los Angeles is a great place to meet friends for a bite or a sip, when the weather's nice. And when is it not, in Southern California? It's an institution at 3rd and Fairfax, a sprawling, casual, outdoor shopping area that was built in 1934. Although it has gone through some upgrades through the years, it's still here. You can stroll up to any one of the many food booths for a slice of cuisine from every part of the world. The one my wife and I keep returning to is Monsieur Marcel Bistro. Elaine was with us, while Brian and his entire family, in-laws included, were at a nearby table. It was festive enough even before the drinks came, and it got better afterward. Brian insisted on buying us an ale from the nearby bar - Marcel carries only wine - and it was a hit, although no one thought to make a note of it. I did keep track of the wines I tried, although I failed to note which Rhône blend Elaine chose to go with her tuna tartar. The 2016 La Croix Gratiot Picpoul de Pinet is from France's Languedoc-Roussillon region in the southwest. The white wine is made from 100% Piquepoul Blanc grapes, and is loaded with minerality and freshness. It's reportedly known as the "Chablis of the South." There aren't many places in Los Angeles where one can find a Picpoul on the list. The wine's importer says that the name of the appellation - Picpoul de Pinet - is spelled differently from the grape - Piquepoul - because French wine law does not allow a grape name to be included in the appellation. Next up was the 2017 Terra Nostra Rosé from Corsica, a French island in the Mediterranean that is more closely identified with Italy. There's little info I could find on the winery, but Marcel's list shows that the pinkie is made fully from Sciacarello (Sciacarellu in Corsica) grapes. The grape is usually blended, not varietal, but they say it makes a smooth and spicy rosé. They’re right. It's terrible when wine goes wrong. A reliable Argentine producer, under the wing of a rock-solid California company... it should have been a taste treat. 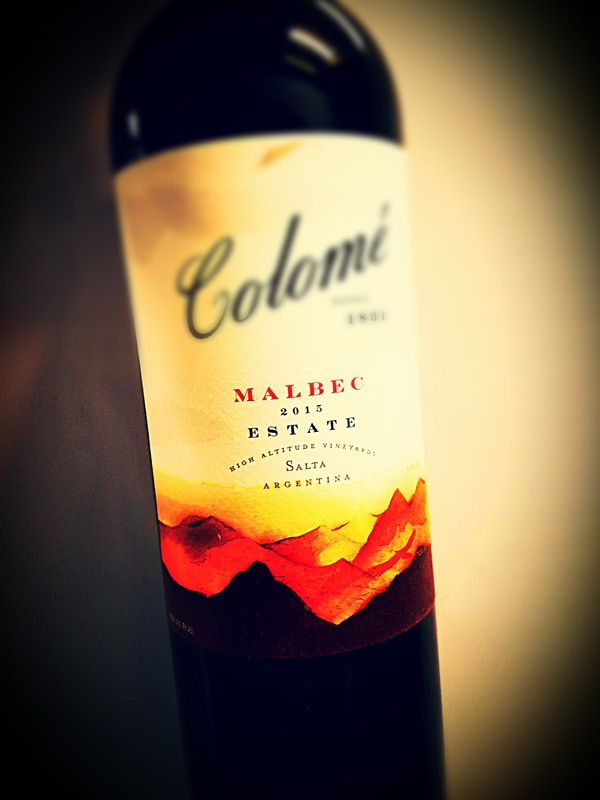 The 2015 Colomé Malbec was made from grapes of four estate vineyards in the upper Calchaqui Valley in Salta, Argentina. Alcohol sits at 14.5% abv. 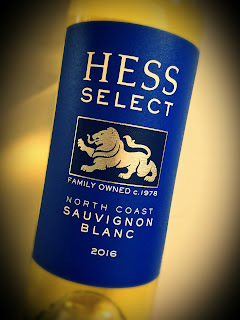 The bottling is part of the Hess Family of wines and was highly regarded by Wine Spectator, which ranked it as one of their top 100 wines of 2017. However, every now and then in the wine biz, a bad bottle gets through. That's the case here. Inky black, this Malbec has an unfortunate nose that reminds me of fingernail polish remover. It's probably volatile acidity, a naturally occurring flaw in the winemaking process. It's not a killer - in fact, some people find that VA is intriguing, interesting. I've had wines afflicted with VA before, to a lesser degree, and found them offbeat. This one is too far gone for me to appreciate. The chemical odor is overwhelming and the displeasure seeps into the palate. It's always a disappointment to encounter a wine for which I just can't muster up any excitement. Several of my Delectable contacts have assured me that it's an anomaly, and I am certain of that. The lion on the Hess label represents the winery and its founder Donald Hess. With estates in Argentina and South Africa as well as Napa Valley, this winery really gets around. Hess staked out a claim on Napa's Mount Veeder in the 1970s, when there was still room to move around. He retired in 2011 and passed the torch to the 5th generation of the family to carry on old traditions and forge new ones. Dave Guffy is only the second person to lead the winemaking team at Hess. 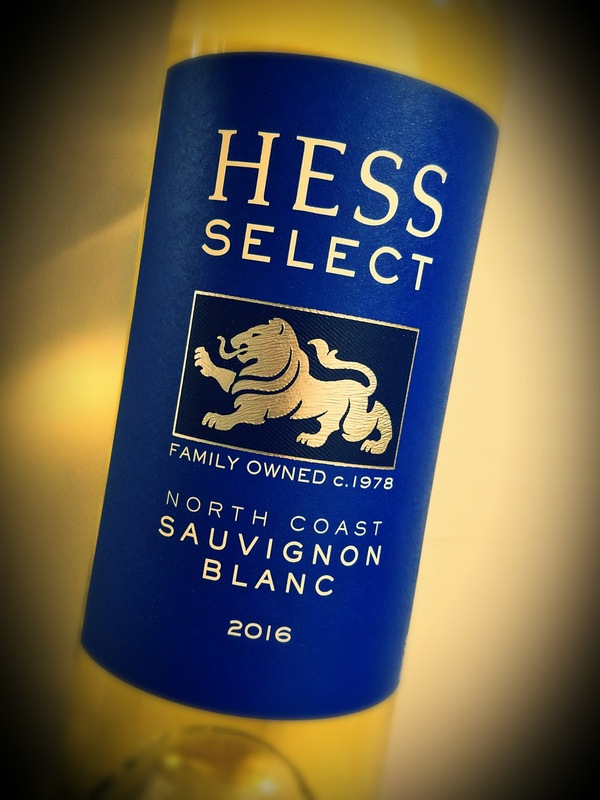 The Hess North Coast Sauvignon Blanc 2016 is made to relax with, or have with some grilled asparagus. The alcohol is predictably easy at 13.5% abv and it's also easy on the wallet at $11. The wine has an herbal nose, not New Zealand herbal, though. There is some grassiness in the pale golden liquid, but it is well accompanied by lemon, lime, grapefruit and tropical notes. The palate is so fresh, it makes you happy if it's hot outside. 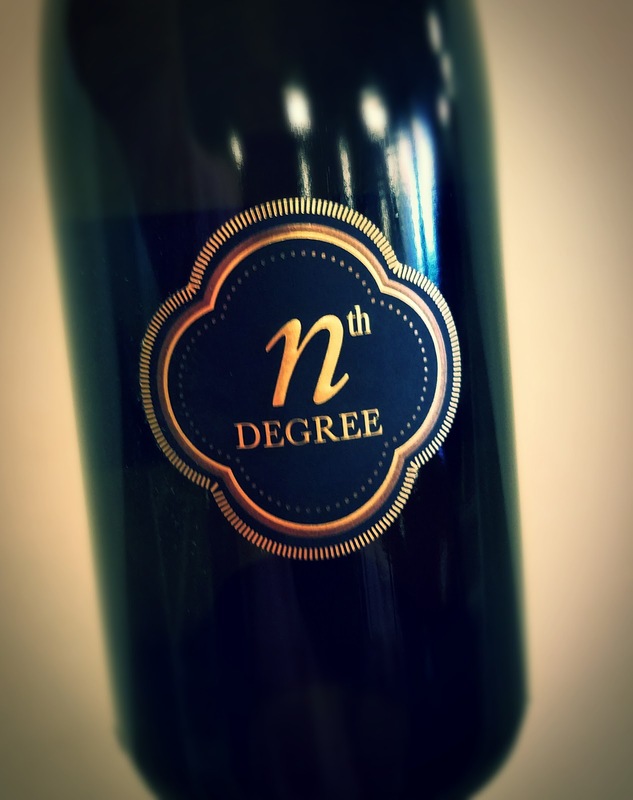 Chill this wine and take a few degrees off the thermometer reading. The aforementioned citrus and tropicals show up as flavors, with a hint of stone fruit in there. The minerality is crisp and the acidity is zippy. The wine somehow makes me want a cold black sesame noodle dish to go with it. My wife tells me that a little black dress is perfect for any occasion. That's something you learn in Girl School, I guess. I took shop class and learned how to make an ugly key rack. Perfect for no occasions. I grew up to wear my shirttail out whenever possible and comfortable shoes with all outfits. I think girls were probably given much more useful information in their youth. 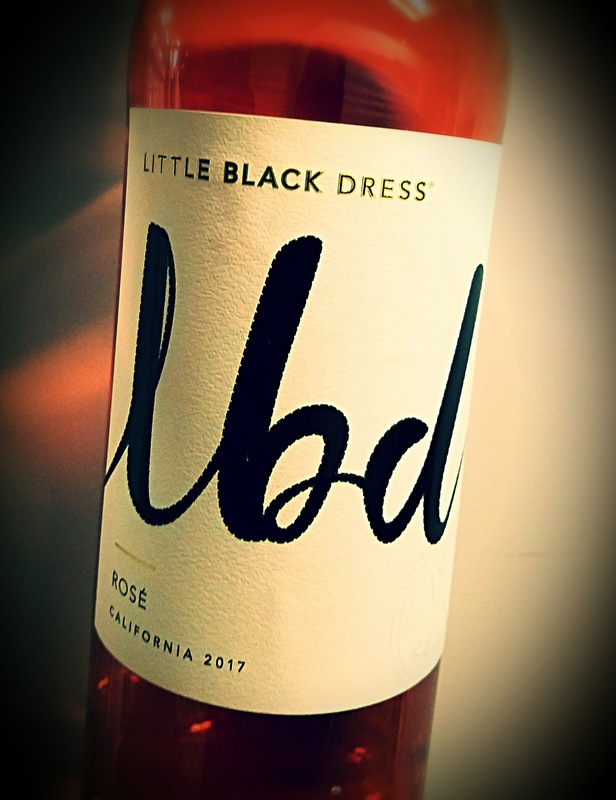 Little Black Dress wine is intended to be the booze equivalent of that garment, a no-brainer, easy choice that solves problems on the spot. As they say, "Good taste is your call. It's something you wear proudly and pour boldly. It's your own personal flavor. And it looks amazing." Margaret Leonardi is the winemaker in Mendocino County. I don't know if she wears a little black dress or a pair of old jeans, but she certainly knows how to make a wine that's right for all occasions. The winery likes to say that "a good bottle of wine is the best accessory," and I will concur. It's certainly a much better accessory than a tiny black purse that only holds a couple of credit cards. It's better than a belt that's six inches wide and shiny. It's better than shoes that hurt your feet. Of course, pretty much everything is better than shoes that hurt your feet. The Little Black Dress folks like to say, "Confidence turns heads and sophistication is the rule," when talking about their wines. They are confident, and with good reason. 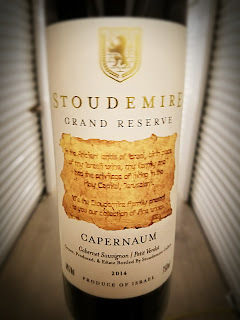 Even without a fancy, single-vineyard label - actually, with only "California" to describe the wine’s origin - they manage to put a really distinctive wine in the bottle. They did it with Chardonnay, and damned if the Mendocino winery didn't do it with the rosé as well. The 2017 Little Black Dress is the same size this year as last, but it's made from different grapes. The newer LBD Rosé was vinified entirely from white wine grapes, 75% Pinot Grigio, 13% Muscat, 10% Chardonnay and 2% Viognier grapes out of Mendocino County. The wine was fermented and stored in stainless steel tanks up to its bottling. Alcohol is a calorie-conscious 12% abv. The color is light pink, almost an onion skin tone. Aromas are powerfully surprising, with a great earthy presence joining the floral and fruity expression. The palate, is as dry as a bone and luscious, with stone fruit and herbal qualities. The wine pairs beautifully with salad or toast but is a lovely sipper on its own. 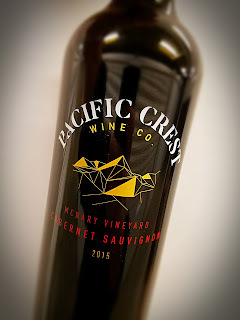 Pacific Crest Wine Company is named after the 2600-mile route that crosses some excellent wine regions as it winds its way up the western U.S. The winery credits the "volcanic and sandy soils along the Columbia River" and the windy conditions which stress the vines for the depth and clarity achieved by winemaker Linda Trotta. This Washington state wine, the 2015 McNary Vineyard Cabernet Sauvignon, comes from the Columbia Valley, a single vineyard Cabernet Sauvignon from the Horse Heaven Hills AVA. Single vineyards are what Pacific Crest is all about. They say the wine showcases "pure fruit flavors with depth and structure," and they aren't kidding. Alcohol stays cool-climate reasonable at 13.7% abv and the retail price is $20. That's a deal and a half, because this wine drinks like it should cost $50 or more. The elegant 2015 McNary Vineyard Cabernet Sauvignon is as dark as motor oil in the glass, a misleading look for a very restrained, yet full-throated wine. Aromas are complex and gorgeous, with a soft, smoky character ushering in deep purple fruit, tobacco, oak, vanilla and graphite. The palate is as beautiful as it comes, with rich fruit, silky tannins and and a loooooong finish. It smells so good I didn't want to drink it, and drinks so good I didn't want to stop. I'm disgusted with myself that it took me so long to get to Sotto in Los Angeles. It's 15, 20 minutes from my home, right down Pico. No excuses. I should really get out more, and when I do, I should go back to Sotto. Italian food from a chef who knows Italian food, with Italian wines to match. Steve Samson owns the joint, and the food is fantastic. The pizza crust nearly brought my wife to tears; the pork meatballs did it to me. It's the wine I'm here to blather on and on about, though. Wine Director Jeremy Parzen brings his knowledge of Italian wine to bear on what people are calling one of the most interesting wine lists in L.A. Parzen, like me, writes about wine. Unlike me, zillions of people read his blog - DoBianchi.com. It's one of the more widely read wine sites on the web, and one of the better ones, too. Parzen is a wine genius, I know because I read him. He may be an actual genius, too. I don't know, but it wouldn't surprise me. Because of his involvement in Sotto, my expectations of the wines were high. The 2016 Cirelli Trebbiano d'Abruzzo is $12 by the glass at Sotto. Abruzzo is an Italian region, east of Rome, between the Adriatic Sea and behind the rain shade of the Apennine Mountains. The Agricola Cirelli farm is organic, downright biodynamic with such attention given to the interaction of animals with the vines. My wife says she gets pork drippings and honey on the nose, the pork a memory from her childhood in an Italian household in Pennsylvania. She also likes the savory, herbal flavors. I get a nose full of wet rocks, the seashore and a slightly smoky note that seems almost shy. The palate shows a grand salinity and stone fruit, dry as a bone. Denise had a Sicilian wine, probably because we’ve never been let down by one. This one was the Biondi Etna Bianco Outis, at $18 by the glass. It's made from the indigenous Carricante grape, in the Etna Bianco region. The area covers the foothills of the Etna volcano, both north and south sides, and the Biondi grapes grow in the south. The Carricante is blended with other local white varieties, like Moscadella dell'Etna, Minella, Malvasia and Catarrato. The wine got about eight months aging in stainless steel. We both loved the ocean on the nose and the volcanic rock on the palate. It was Spanish wine that started my own interest in the broad spectrum of vino. It dragged a self-described "beer-only" guy into the wide world of wine after attending a tasting of Spanish wine on a lark. I think about that tasting every time I have a glass of Verdejo. Under the umbrella of Bodegas González Byass, Beronia Rueda operates sustainably in the Rueda region, using two different vineyards for its Verdejo wine. 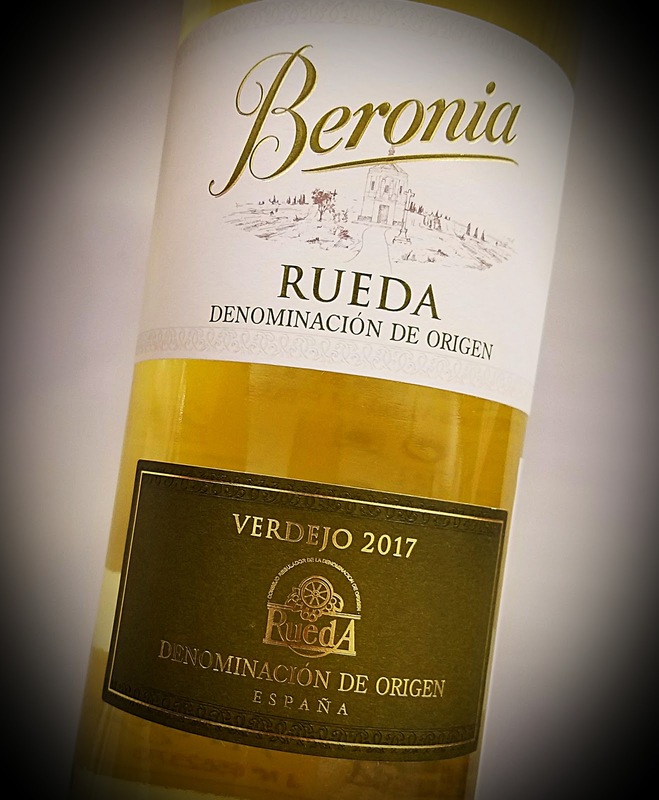 The 100% Verdejo grapes were taken in two passes, one early and another later, the former for aromas and the latter for flavor. The two lots were vinified separately and blended together. Their website indicates plans to start using a huge oak vat in the vinification process. This wine offers alcohol at 13% abv and an easy price point of about $13. An early frost, late heat and hardly any rain made for a tough 2017 vintage in Rueda. Beronia explains that the stony soil soaks up daytime heat and releases it at night, which they credit for the complexity of the wine. 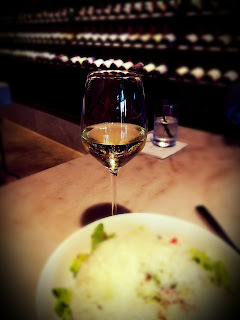 The wine shows green-gold in the glass and looks clean. It smells crisp, with a big grapefruit play up front and other citrus notes joining apple and anise. On the palate, there's a brisk acidity to accompany the nectarine, citrus and minerals which produce the clean mouthfeel. If you love Chardonnay, you probably love Wente Vineyards, and you may not know it. The grape clone which is used to make 80% of American Chardonnay is here thanks to German immigrant C.H. Wente, who in 1912 planted a cutting from from a French nursery vine. That Chardonnay plant became the Wente clone of the grape which is so popular today. Wente is the country's oldest continuously operated family-owned winery, now run by the family's 4th and 5th-generations. A virtual tasting event was hosted recently by the family historian, Phil Wente, and winegrower Niki Wente, who walked us through five different styles of their line that defined California Chardonnay. You can visit that experience here. The Wente Nth Degree line features not only this $70 Chardonnay, but also a Pinot Noir, Cabernet Sauvignon, Syrah and Merlot, all limited production wines. The Chard holds alcohol at just above 14% and is made from 100% Chardonnay grapes taken from the estate’s Ernest and Herman vineyards, which are part of Wente’s heritage program. They only made 21 barrels of this wine. The Livermore Valley appellation sits near San Francisco Bay and offers winemaker Karl Wente some fairly great fruit with which to work. The 2016 vintage was reportedly fairly dry despite more rain in the winter than in previous years. The winery says the additional water made for larger yields of the small, concentrated berries. Full malolactic fermentation was allowed in French oak barrels before aging on the lees for 14 months. This wine is easily as rich as its price tag. Looking as dark as apple juice, there's a smell of oak to this Chardonnay, but more than that is a buttery, creamy nose of apricot and Meyer lemon. The palate is just gorgeous - similar fruit and rich notes, but with a racy acidity that surprises, considering the full mouthfeel. Is it worth $70? That's up to you and your bank but it's a damn good wine, that's for sure.